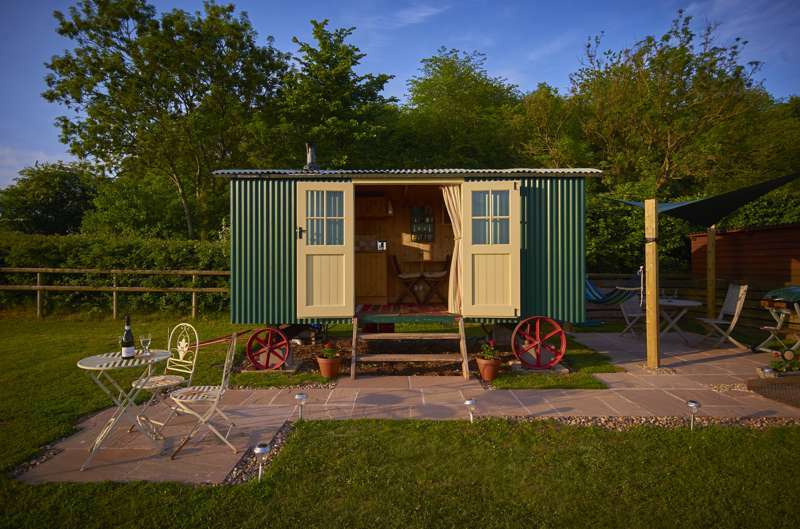 This unusual converted horse wagon offers luxurious glamping accommodation, with the added benefit of all the facilities at Brooks Country House Hotel. This unusual converted horse wagon offers luxurious glamping accommodation, plus all the facilities at Brooks Country House Hotel. This unusual converted horse wagon offers luxurious glamping accommodation, with the added benefit of all the facilities on offer at Brooks Country House Hotel, including a sauna and an outdoor heated swimming pool (June-Sept only). This horsebox can accommodation 2 adults and 2 children up to the age of 12 years in the king-size double bed and 2 bunk beds. Our Georgian manor house has lots of historic features such as oak panelling , secret doors, big fireplaces and chandeliers. It has stunning views over National Trust Park land but a mere stones throw from Hereford or Ross on Wye . Newly decorated from top to toe with a heated swimming pool in summer, a games room and small gym - it's the perfect retreat in the country. 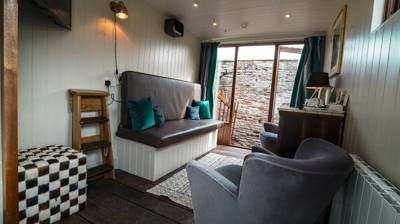 Our quirky converted horse wagons offer stylish and comfortable glamping accommodation. The smaller horseboxes can accommodate 2 adults, while the larger ones can accommodate 2 adults and 2 children up to the age of 12 years. The horseboxes are each a different size – the small one has a double bed, the medium has a double bed, plus 2 bunks if required, and the largest has a king-sized bed, plus 2 bunks if required. Bunks are suitable for children up to 12 and all bedding is provided. 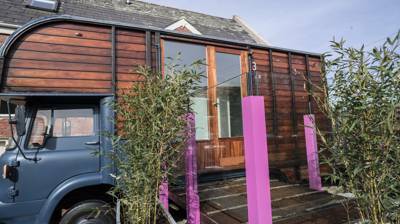 The boxes are heated and have en suite shower rooms, with a Hansgrohe shower and toilet (towels and toiletries provided). There is a flat-screen TV and DVD player, designer guild fabrics and cushions and a welcome tray with a kettle, hot chocolate, tea, coffee, biscuits and more. In the main building guests also have access to table tennis, snooker, life size chess, table football and darts, plus a sauna and an outdoor heated swimming pool (June–Sept). Ross-on-Wye and Hereford are the nearest towns, the latter home to a grand cathedral that dates back to 1079. Its most famous treasure is Mappa Mundi, a medieval map of the world dating from the 13th century. Renowned Symonds Yat is also nearby – a quaint village on the banks of the Wye, straddling the river and thus the border of England and Wales. It's also a popular spot for hiring a canoe (01600 891100) and journeying downstream, where you can be picked up at a later point and transported back. Head to the Royal Forest of Dean, meanwhile, for mountain biking. Breakfast and dinner is served in the atmospheric hotel restaurant. A floor-to-ceiling bay window let’s you soak up the superb view, while the walls, where not covered by original Georgian bookshelves, are dotted with intriguing paintings by Andrew’s grandmother, who studied with Henry Moore. The food, meanwhile, couldn't be much more local if you tried – most of the produce comes from Pengethley Farm Shop (01989 730430) right next door, while eggs come from Brooks County House's own 40 hens. They grow their own vegetables and herbs, too, and, if that's not enough, they even make their own wine! Brooks Country House is located just off the A49 between Hereford and Ross on Wye. It is adjacent to Pengethley Farm shop and brown tourist signs point in to the main entrance. The nearest train station is in Hereford Town (0845 748 4950) but its still a 25-minute or more drive away. There is a taxi rank outside the station building or you can get a Stagecoach bus (Stagecoach West service) to Ross-on-Wye and ask to get off at Pengethley Manor stop, which is just a few hundred yards from Brooks County House. 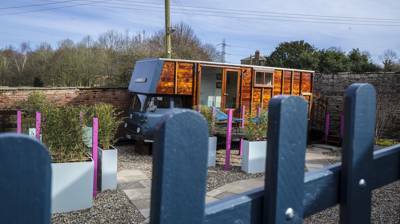 3 vintage horseboxes, lovingly converted into plush glamping accommodation. 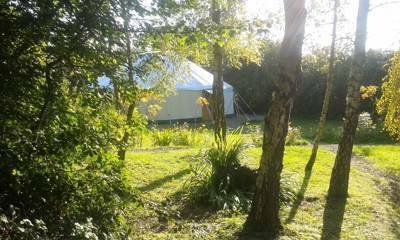 Luxury yurt glamping with hot tubs and massage treatments in a pretty, enclosed garden on the edge of the Forest of Dean. 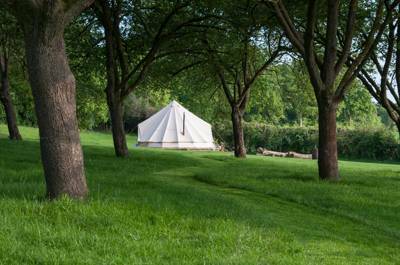 Blissful bell tent camping among the apple blossom of an organic orchard slap bang in the heart of cider country.